As you’ve no doubt heard, we purchased a house in Central Bulgaria. This does not signal the end of our travels. In fact, we’ve already left Bulgaria and are currently exploring the countryside of Turkey. Now it’s all well and good for us to tell you that we bought a house, let you know how much it cost, gave some insights into Bulgaria’s bureaucracy, and showed you some pictures of our new pad. But I think it’s also important to explain why we want to live in Bulgaria. Yes, you read that right. We want to live in Bulgaria. Contrary to popular belief, we do not make a habit of buying houses as a souvenir in every country we visit. Bulgaria is special. It’s a place we want to live, and that’s why we bought a house there. All dollar amounts quoted in this post are $CAD, which at the time of this writing are approximately equal to $USD. Maybe I should rephrase the title of this section to something like “The Small Bit of Bulgaria We Actually Saw is Beautiful”. The truth is that despite living in Bulgaria for three months, we hardly travelled around at all. Bulgaria has a beautiful Black Sea Coast, mountains to ski and hike, and plenty of history on display in the form of monasteries and Roman ruins. But we didn’t see any of that stuff. I guess we decided to save it for another trip. The bits we saw are all nearby our own village, and we thought they were beautiful. 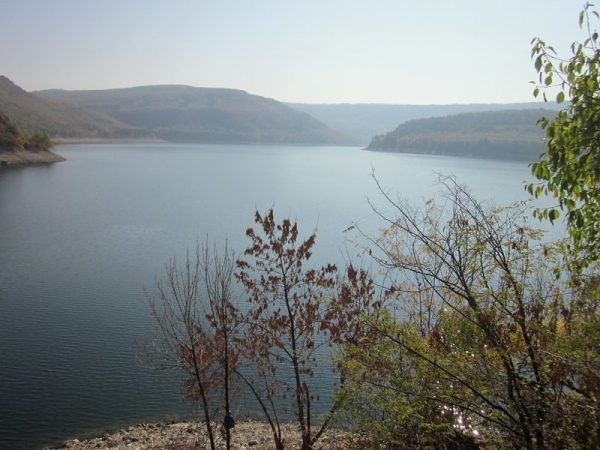 Gorsko Kosovo Reservoir – A great place to swim and fish on hot days. If you look on a map, you’ll see that Bulgaria borders Romania, Turkey, Greece, Macedonia, and Serbia. All places we want to see. Still within range of a night train/bus, you find Italy, Austria, Croatia, Slovania, Slovakia, Hungary, Moldova, and the Ukraine. Wow. Even the small villages, like ours, have high speed internet access. So communication is no problem. But that’s not what I was getting at. What I find amazing is the fact that you can cheaply get everywhere by bus/train. Our small village, for example, has a daily bus to and from the closest major centre, Pavlikeni. There we can do all of our shopping, or catch a bus/train to somewhere more exotic, like Turkey. And get this, the bus to Pavlikeni costs less than driving at only $2 each way. Village Life is a Mix of City and Farm. As it Should Be. You have neighbours to talk to. There is a local store for your daily shopping needs. A cafe & bar for those days you don’t feel like cooking. Your streets will get plowed in the winter. You have running water that you can drink from the tap. You can buy fresh unpasteurized milk. If you like, you can have goats, cows, horses, and sheep. You keep them in your yard at night, then send them out to public pasture with a local shepherd during the day. No need to buy your own pasture land. You can grow your own cherries, grapes, peaches, apples, pears, walnuts, hazelnuts, blackberries, vegetables of all kinds, and much more. Anything you plant in this country has a habit of growing. You get a big yard and privacy. The winters are shorter than they are in Canada by about a month on either side. There are heavy snows but there are also warm chinooks. It’s been known to hit positive 20 deg C on New Years Day, and a cold snap will only get as cold as -25 deg C.
Summers are fantastic (this is the only season we’ve personally experienced); Dry, not much for wind, temperatures between 30 and 40 deg C. I can’t imagine a better summer climate anywhere. The beer is priced at a reasonable $0.70 for a 1L bottle. And it tastes not too bad. Wine is a bit more. A local vintage can be obtained 3L for $5. Better still, they’ve legalize distilling your own alcohol. And, since everyone grows their own grapes, there is a glut of hooch (officially called rakia). It’s tasty, and given away for free by nearly everyone. We’ll be making our own when we have a chance. We’ve already mentioned how much a house and land costs. If you missed it, you can catch up here. But it’s not just the housing and the booze. Food is also cheap, even if you are not growing it yourselves. Tomatoes, zucchini, eggplant, and fruit generally run $1 per kg or less while in season. Cheese is plentiful at about $3 per kg, and bread is about $0.50 per loaf. Property taxes are almost negligible (less than $100 per year), and water is less than $10 per month (depending on how much you use). Of course some things are still expensive. For example, gasoline for your car is quite pricey, electricity is expensive, and wood for winter heating will still run you about $1,000 per year depending on how much heat you need. But these “expensive” items are priced comparably to everywhere else in the world. They are just expensive compared to how cheap everything else is. So Why Aren’t We Living in Bulgaria Now if it is so Great? A couple of reasons. First, we are not done travelling. Not by a long shot. Second, despite the low costs, we still need to figure out a way to generate an income before we can move to Bulgaria full-time. The country has a very high unemployment rate, and a very low average hourly wage. To make matters worse, neither of us speak Bulgarian, a fact that will severely limit our employment prospects until we can learn the language. Although we’ve been quite successful thus far, it’s only possible to live on dreams and rainbows for so long. So until we work out how we are going to generate enough income to move full-time to Bulgaria, we won’t be living there full time. Like so many things, we just don’t know. Our first plan, is to eventually return to Canada and get jobs. We’ll work and save until we feel that we have enough money to make a go of it, then move to Bulgaria. It’s boring and old-fashioned, but there’s a proven track record of success. While we are saving up, we’ll visit our house when we can and do as much work on it as we can with the holiday time we are allotted. Another option would be to relocate to Bulgaria and try to pick up seasonal winter work elsewhere. For example, we may try to spend our summers in Bulgaria enjoying our organic food, and low costs. When winter strikes, we’ll set off for a warmer country and work in the dive industry. It’ll mean another investment in courses to become instructors, but could be a enjoyable/sustainable way of making Bulgaria work now. We’ve talked about working for a year teaching English in Japan or S.Korea. The idea being that we could save up enough money to live in Bulgaria for a couple of years before needing to undertake another year-long teaching gig. It has promise, but we are not sure if we’ll enjoy teaching English or not. Finally, we could try to work in Bulgaria. It’s possible that Ashley could get a job as a teacher at an English school. But it probably wouldn’t be within commuting range of our home. I could try to earn an income online programming, or translating from Spanish into English, but that’s not fun either. Along the same lines, we could use our company to undertake some sort of business in Bulgaria. The big problem being that we’d be earning a Bulgarian wage. That would get us by, but we wouldn’t be able to save up for future travel. And it’s not just sightseeing that we would miss out on, we’d also be away from our friends and family back home without sufficient incomes to buy tickets to go back to Canada and visit. That would be hard. So for now, and until further notice, the matter of fitting our Bulgarian house into our lives permanently remains unsettled. But we both really, really want to make it work. That’s awesome guys! Hope to visit you in Bulgaria one of these days! How hard is it to get long-term visas there? If you don’t own a home I mean. That’s a good question. It’s relatively straightforward if you own a company, but I’m not sure how simple it is as a plain old tourist. If you are serious about staying long-term in Bulgaria let me know, and I can pass you the phone number of our lawyer. She can sort all the visa details out for you with a minimum of fuss. Melanie and Holger here. We digging in too moving there. We’ve been in New Zealand the last 7 years. Can you give me the details of the Lawyer i am from Brazil i plan to move. Yes, I’ve emailed it to you. Sorry for taking so long. I’ve loved following your travels, and really really like this realistic view of your situation. Many times we go through a similar scenario, as our income is not location independent either. Thanks for sharing! You’re welcome. We’re quite fortunate to have the luxury of thinking through a few different scenarios before committing. Even then, if it doesn’t work out, we’ll just do something different. It really makes me feel for all those people who land a job, take out a big mortgage, and never really think through any other options. Never having personally been or thought about Bulgaria you do a pretty good job selling it. It looks and sounds beautiful, I’m glad you guys found your little slice of heaven and decided to set down some roots. It’s not an easy thing to do, so I’m really impressed with you both. Good luck with it all! Thank you. I can hardly wait to spend some more time at our home. That still sounds so weird to say. Hopefully I feel the same way in a few years time. Definitely an interesting choice. I feel Bulgaria is an unsung hero in what it has to offer and completely agree with your point on it being well connected, it’s so easy to travel around there’s no need for the expense of a car which is a big bonus. It’s interesting, how Bulgaria has a declining population, mostly attributed to the youth wanting to move to other countries that have more (money) to offer, and here we are wanting to move from Canada to Bulgaria to escape the industrialization. Have you thought of teaching English privately in VT? There are a lot of students there. Wandering Earl had the great idea of setting up his own classes in a park. In the meantime, enjoy the Lycian Way. We’ve thought about it, but haven’t really had a chance to estimate how much of an income we could make off of it. It it’s enough to pay the bills, and buy the odd plane ticket home, it could be all we need. Next time we are in Bulgaria, we’ll have to feel it out a bit more. Niceley written, hope it works out for you. I have just bought a house near Shumen and like you have no fixed plans, just to visit when I can and work on the house/garden etc. Going to fly out June 2013 for a start, then take some stuff out in my van in OCtober from the UK. We’ve got a yard full of grapes, and they are fantastic to eat. I can’t wait to take some to the neighbourhood still and see how our rakia turns out. Can you please send me the contact details of the lawyer who assisted you in the purchase of your property. Many thanks. Sorry for taking so long to get back to you. I’ll email you her info right now. Will be looking at properties later this month in the vt area and in need of a good lawyer. Could you please send me the contact info of the lawyer you guys used ? Your entries remind me of the energy of youth, which I am steadily losing (I’m 57). I hardly have enough energy to read about all your plans and travels and activities, much less emulate them! How is your house in Bulgaria maintained when you are not there? Any concerns about the house’s security? 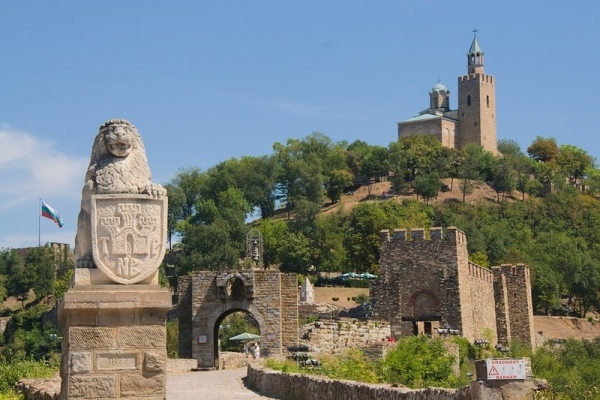 How can you save money in Canada if you are traveling to Bulgaria periodically? How much do two round-trip plane tickets from Canada to Bulgaria cost? Won’t you miss the Canadian health care system? A definite bonus that the country is losing population. That will make you more welcome there. Anyway, congratulations to both of you in pursuing your dream and, I’m sure, in making it happen. My own dream was escaping Washington, DC, and buying and living on a farm in rural Virginia. I made that happen too. You posted really good practical questions, but did you get any answers? Thank you so much for these words! Thank you that you appreciate my country! Well, Bulgaria is not that bad! I come from one of the richest countries in the world, called The Netherlands. In The Netherlands, everything gets worse and worse every year. In Bulgaria, it can only get better, because it is the poorest country in Europe. There are moving hundreds (!) of Dutch people to Bulgaria, every year! The reasons for this are described in the above article by Mike Lenzen. Believe me: Bulgaria is a beautiful country and living there is great! Remember only: Bulgaria is an Eastern European country. The culture is not comparable to Western Europe and Canada. However, Bulgaria is part of the European Union (a kind of starting country) so the differences are smaller every year. Wow I am so exited after reading this post. I am Bulgarian and have been leaving in Canada for last 5yrs and my husband and I decided to find a way to come back here in Bulgaria and show the country to our two small children and basically live here most of the time. We spent now more then a month here feeling so happy with friends and family, enjoying the food and nice weather. I can’t believe that I know so many Bulgarians in Canada and they don’t want to hear for our country,….. so bad. But I am happy to see you guys like it here. Enjoy it and I hope you can make it work leaving here. Hopefully more people realize how beautiful is Bulgaria. It is interesting to me how some Bulgarians are trying to put Bulgaria down while foreigners have eyes and harts to see and feel the beauty of Bulgaria. I am Bulgarian living currently in US. I worked hard and I made it. I got 2 degrees here and make 6 figure salary in the USA now. However, I have realized that money is not everything. 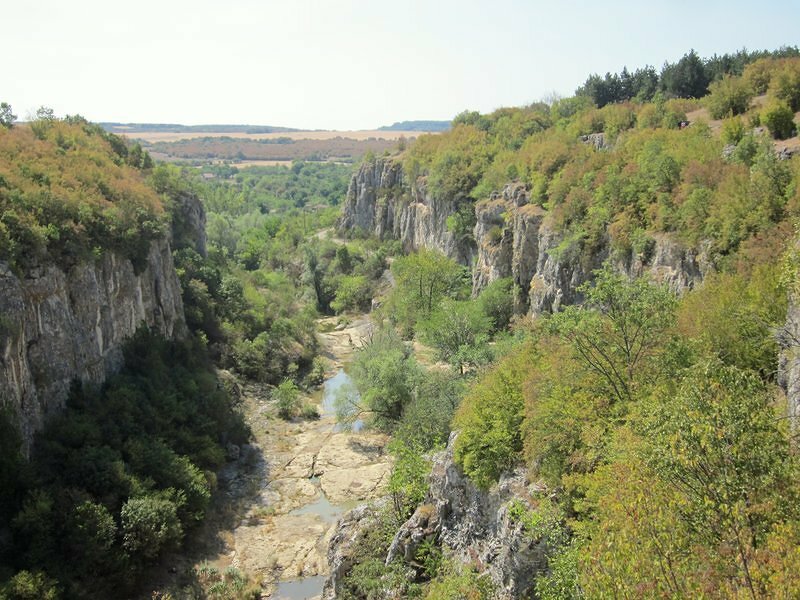 It may sound strange but I discovered the beauty of my own country, Bulgaria, when I moved to USA. Now I am saving money and am planning to go back to Bulgaria. Soon. Forever. It’s interesting to me too. I think Bulgaria would make a fine forever place. Coming from Canada, I’m really not so sure that I can say the same thing about my home. Perhaps that’s why I spend so little time there. You should buy a house south of the Balkan mountains. I don’t remember ever shoveling snow. Actually you were thrilled when having some snow :). The temperatures in winter are around -2, -5. Often over the 0. -10 is a big exception. Thank you for opening my eyes. Presently I live in Toronto but will restore my 90 years old house in the Stara Zagora region, and make a retirement heaven :). I don’t know if it is safe though. May be I will stay in my city apartment. Having read all the great things about Bulgaria, as a person of colour from the UK I cannot not resist asking the following.Are Bulgarians racist? Have you seen any people of colour there? I don’t know enough about Bulgarians to answer your question. There’s certainly some level of racism towards Romani people. Hi there, reading your blog with interest. I’m british-african, wondering what the attitudes are like towards people of colour? The property prices are staggering. I was considering Greece or France, but you definitely get more house for your buck in Bulgaria. I unfortunately can’t answer this question. I just don’t know well enough to say. I can say that there is racism towards the Roma people, and very few coloured minorities around our village. I got the wonderful chance to visit Bulgaria a year ago for work. I can tell you I’ve never been to a more beautiful place where the people and the culture were so welcoming. I’ve seriously considered the idea of living there for a short time. What a magical place. Best of luck to you! Future Bulgarians as for the wast 2y i’v been working in US and now i am coming home. I can tell u that, the only way for me to stay in Bulgaria is to invest here u can’t afford to live with the wedge here u will struggle or maybe survive on the line of poverty. Yes u can find job in some big company but the majority of the jobs are low payed.So just steal some idea from your home country, that’s my idea for living in Bulgaria. Hi there, thanks so much for detailing how to move to Bulgaria. My husband and I have also been traveling around, but are thinking we’d like to settle down there. He lived there before and can speak the language, and I am really attracted to the simple lifestyle and low cost of living. He has a job teaching English online to Asian students so that allows us to live anywhere with a good internet connection. Perhaps this would work for you and your wife? We are also planning on moving to the area around Veliko Tarnovo. I’ve thought quite a lot about teaching and working online as possible career choices. I’m taking over a friends class 7 English class for the next 6 weeks here in Bhutan. If all goes well, it could just be the answer. Great! If you would like to know some good companies, I can give you the names. I’m an American and need to make a major change in my life. I’m considering relocating to Bulgaria. I know you have said that it’s hard to find work there. I’ve been considering buying a building with a storefront, to possibly open a business as well as having a residence. I was thinking a possible Internet cafe, or small restaurant. I’m an accredited chef and thought possibly an american style cusine may work. Also location would be a big factor. Can you give me any advise or insite on this eendevor. Thanks! I happen to know of at least one bar/restaurant that’s relatively successful and run by an expat. He’s managed to setup his business in a small village. Because it’s Bulgaria, he’s kept his prices at local rates, and is frequented by many of the locals. In order to generate extra income, he hosts expat meals on a monthly basis where he shows off his cooking abilities and extorts foreign prices. This model works for him. He dosen’t make a great living, but it’s enough to get by on and he can enjoy the village life. Of course Bulgaria also has some touristy spots, like Varna, where I would expect you could make a decent living as there are lots of paying tourists around. hi there! I’ve been reading your blog because me and my husband are from canada as well and want to lived in Bulgaria for a year. but all our research says that we’re only able to move for 3months 🙁 how did you get around this? thx! If you start a company in Bulgaria, you can get a long term residency visa. You’ll probably need to speak with a lawyer in Bulgaria to work out the details. No, I’m told they are single year for a number of years before you can get a 5 year. Hi my hubby is going to retire soon,we are planning to retire in sunny country,how cold is the winter in Bulgaria,? It depends on the location. Where we are, not too cold -15C but snowy. In the south or near the Black Sea, it can be much warmer without the snow. I am trully delighted to read so many good words about my home country Bulgaria. Thank you for the interest and I hope more people appreciate Bulgaria… And thank you Mike more people can get to know our country becaouse of you. Wish you good times in Bulgaria. Hello there! 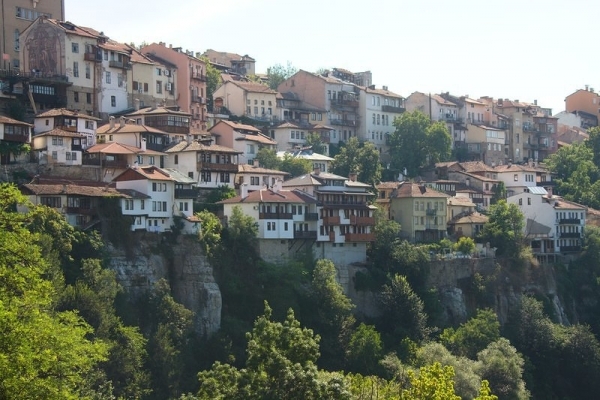 I am from Bulgaria, Veliko Tarnovo is my hometown and the best town in my opinion, though I am currently living in the capital. I know that many young people are striving to go abroad.. and all that. My biggest dream in the world is to STAY! I have to tell you that around my hometown I know many foreigners mainly from the USA… they love it! I am planning on having my master’s degree abroad.. saving up some money there and investing back in my country… Someone has to revive it.. Thank you for.. seeing.. truly. That’s a great plan. I really enjoyed my time in Bulgaria. I still haven’t been back, though I have a house there and will sooner than later. What village did you guys buy a house in, if I may ask. There are many villages around the main city that you mentioned, and I am very interested in also someday moving there. I love the beauty of the country,the whole small village but close to city access, and enriched cultural beliefs like those that believe in the vampires. I am inspired by you both and your steps toward moving there! Thank you! The name of the town isn’t that important. We still haven’t transplanted, and the house is vacant so I don’t really want to advertise online. We are about 30 minutes by car from the city, and there are expats in both our town and the nearest neighbouring town. If you are serious about finding a place, try to get a relater to drive you around to a few villages to get a feel for what’s available. Then try to meet some of the expats and get their feelings on their villages and what’s available for houses. A recommendation from someone living there now is probably worth a lot more than what I can give. I have a friend in Bulgaria. I really would love to move there for the same reasons you did. Such a beautiful country with wonderful people,history and culture. I am coming into retirement. Married my wife in Plovdiv Bulgaria almost 15 years ago. We live in southern Alberta but we both hate snow. We go back to Bulgaria to get our dental work done. All costs including flights and holiday spending are a fraction of what dental costs in Alberta as we have no insurance. I like the climate, clean air and lower costs of living when you convert Canadian dollars to Levs there. Might manage a miracle in learning the language eventually. Looking to rent a furnished house or apartment in or around Assenovgrad for a month each year.